“How did you explain it to the team?” Catherine asked. “As I approached each department manager, I told them I was working on a project, Project X, where I needed specialized resources from other departments. I explained what I needed, how much I needed and asked for their recommendation. “For the project accounting, I asked our CFO for a controller level person with ten hours a week to track the direct and indirect costs for the project. The CFO suggested this would be a subsidiary ledger inside our accounting system anyway, and she assigned someone to the project. “That’s the way it went with the other five departments working on the project.” Javier stopped because he knew that Catherine would have a question. This entry was posted in Accountability and tagged authority, cross-functional relationships, project, project leader, service getting, service giving on April 1, 2015 by Tom Foster. What happens if someone isn’t focused on a timeline? We have a number of people who need to be strategic and who need to maintain a number of balls (projects) in the air, but those projects tend to focus on a “perfect outcome” without a time-frame. One of the biggest mistakes managers make, is assigning tasks without a deadline. Lots of chocolate messes start out this way. All projects have a deadline, whether stated or not. The manager thinks this task has priority over all other tasks. The team member thinks this task has second priority over all other tasks. The manager expects to see a draft plan by Friday. The team member hasn’t heard from the manager by Thursday, so stops working on the task, thinking it is no longer important. This entry was posted in Accountability, Time Span and tagged deadline, goal, objective, project, task, task assignment, what by when on November 5, 2012 by Tom Foster. 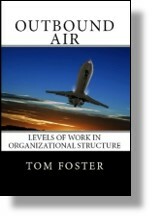 This entry was posted in Accountability, Organization Structure, Time Span and tagged accountability, management, project, task assignment on September 7, 2012 by Tom Foster. “The subject for this meeting is our progress on the Phoenix Project. Looking at our project time lines, we are behind schedule and the client’s QC person is complaining that some of our work is sub-standard,” I explained. “Yes, I know. I looked at the reports before I gave them to you. I have to tell you, I think I know where the problem is,” Roger backpedaled. “So, should I start with you?” I asked. This entry was posted in Accountability and tagged accountability, morale, project, project timeline on June 28, 2012 by Tom Foster.